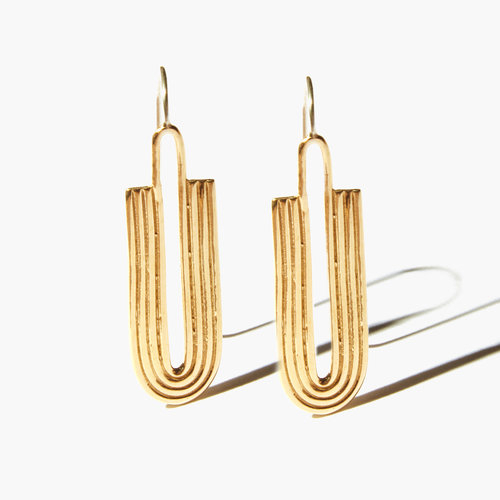 Kaj earrings in hand-casted Brass. Made in NYC. Sterling silver posts. Approx 2" long.